Johann Sebastian Bach's St. Matthew Passion was first heard on Good Friday, 1727 in Leipzig, Germany. The audio program presented here, hosted by Lynn Neary, is from the NPR series Milestones of the Millennium. It's a journey through the St. Matthew Passion guided by acclaimed scholars, conductors and singers (including Ian Bostridge, Joshua Rifkin, Ton Koopman and Christoph Wolff), all closely associated with Bach's masterwork. With gripping drama, Bach's Passion retells the compelling story of the events leading up to the crucifixion of Jesus. Bach divided the music into two parts. Highlights of the first part include the last supper and the betrayal and arrest of Jesus in the Garden of Gethsemane. In the second part, the music turns softer and more somber — signaling the inevitability of the story — as it depicts the trial, crucifixion and burial of Jesus. The Passion ends with the darkly textured chorus "In tears of grief." Bach could leave his parishioners in a sorrowful mood, knowing that they'd be celebrating Christ's resurrection in just a few days. Bach built his Passion from choruses both small and large, and arias for specific characters such as Jesus, Judas, Peter and Pontius Pilate. The Evangelist, a role for tenor voice, is the principal storyteller, moving the drama along through through a kind of half sung, half spoken recitative. 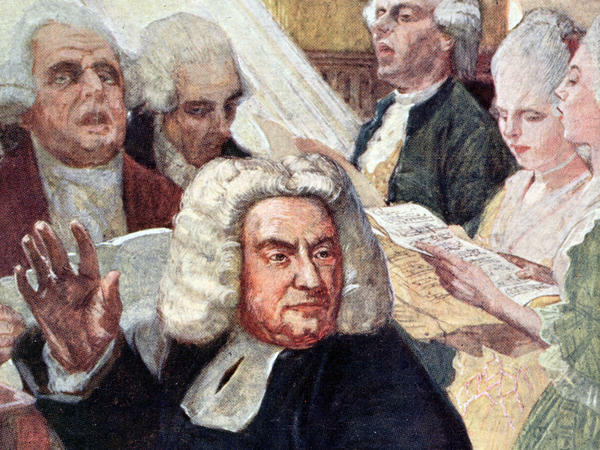 Supporting Bach's massive structure are three grand choruses — at the beginning, middle and end — standing as tall pillars, holding up the surrounding music. The Passion begins with an immense wave of sound — an opening chorus constructed of an interlocking double choir with a children's chorus soaring over the top — building with intensity and sweeping the listener into the drama. English tenor Ian Bostridge is so taken with Bach's music that he has made the role of the Evangelist a staple of his repertoire. "I think the St. Matthew Passion is one of the greatest pieces of music in the Western repertory," Bostridge says. "And to start one's journey toward understanding that piece is a very important point in anybody's life."